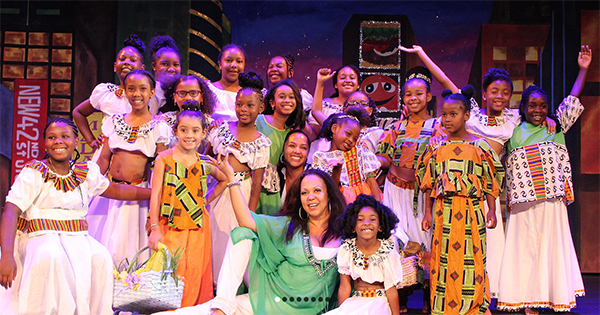 Little Miss African American Scholarship Pageant (LMAA), founded in 1993 by Lisa Ruffin, is based on the idea that young people must begin with a strong foundation. They believe that each of our girls possesses the promise of unlimited possibilities. In partnership with supportive parents and sponsors, they offer the LMAA pageant as a vehicle to develop their potential. This educational program is dedicated to empowering young ladies between the ages of six through 12 with a CAP - Confidence, Awareness and Pride - to prepare them to be the leaders of tomorrow. LMAA uses a pageant format to provide girls with an early introduction to the arts and a heightened cultural understanding. They are also equipped with training in public speaking, etiquette classes, scientific experiments, while discovering The Future of Technology. They are taught production numbers by award-winning choreographers, while promoting individual creativity. The curriculum encompasses a summer program of coaching, guest lectures and demonstrations on the heritage of the African American experience, communication skills, math, science and the arts. The participants are tutored in voice projection, poise, body movement and memory techniques. Many of our instructors have had distinguished careers in the arts and are veterans in the fields of education and technology. As in past years, LMAA founder and producer Lisa Ruffin charges the 2018 pageant participants to set goals to be starship captains, imparters of knowledge, creators of beauty and presidents of everything. The deadline for this scholarship is usually in $5,000 of each year, and the award amount usually VARIES.